1) Order the rainbow SkiData Keycard and get it by priority mail. Note: You can also load your Rainbow Keycard at your favorite ski resort (online or at the lift ticket office). You're ready to ski! No longer any opening hours or queuing: the rainbow Keycard is valid at all the ski resorts using the SkiData system and can be re-used several times. 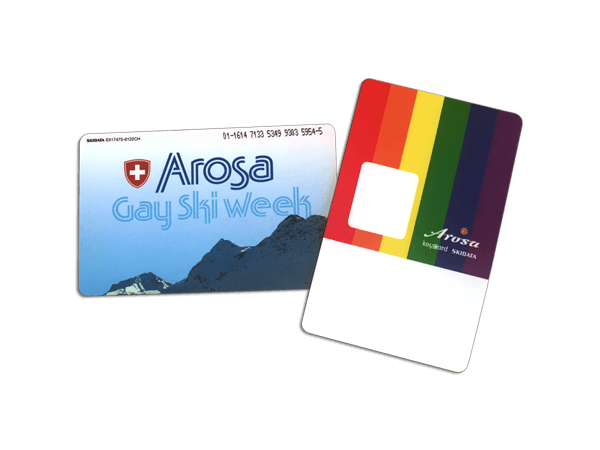 Get our exclusive Rainbow Keycard, which can be loaded in any ski resort using the SkiData system as often as you like.